At the time Nowitzki (rather reluctantly) arrived, the Dallas Mavericks were an NBA also-ran, the kind of place that incubated players like Detlef Schrempf, Mark Aguirre, Jamal Mashburn and Jason Kidd before they headed for greener pastures. The team had made the playoffs only six times in eighteen years of existence, their best season ending in a seven-game Western Conference Finals loss a decade prior to the last Lakers championship team of the Showtime era. 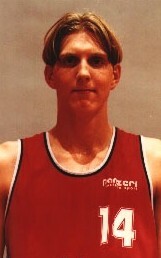 Gangly but unquestionably skilled, and coming off an impressive showing in the Nike Hoops Summit playing against NBA-level talent, Dirk had the tools from the start. What separated him, though, was his height: virtually no seven-footer had ever put together that size with an ability to run the floor like a guard or pull up for a three-pointer. Or, at the very least, none had a visionary coach like Don Nelson to maximize such a player. There were the highs of the Michael Finley-Steve Nash era: leading the team to the playoffs for the first time in over a decade in 2001, a season that kicked off a run of eleven consecutive 50-or-more wins, and the Western Conference Finals run in 2003, where they fell short against the eventual champion San Antonio Spurs. Then, of course, the lows: that Western Conference Finals loss. Steve Nash left in 2004, only to immediately become a back-to-back MVP in Phoenix. Finley left a year later for the hated Spurs. The 2006 Finals loss to the Miami Heat, Dwyane Wade’s coming-out party. His 2007 MVP campaign, during which the Mavericks won a league-leading and franchise-record 67 games as Dirk averaged 50-40-90 for the season, ended in a perplexing six-game loss to the 8-seed Golden State Warriors. Finley won a title with the Spurs that year. Playoff appearances piled up, but Dallas could never break through. Head coach Avery Johnson came and went, opening the door for Rick Carlisle in 2008. The Mavericks fell to the Denver Nuggets and, yet again, the Spurs in his first two seasons. Dirk aged; save for stalwart point guard Jason Terry, the cast around him shifted. The landscape of the NBA changed in 2010, most monumentally due to The Decision and its fallout. By then the best player on the planet and a basically-native son playing for his hometown-ish team, LeBron’s departure for Miami, where he teamed up with fellow 2003 draftees Wade and Chris Bosh, left many feeling cold about the King. As a result, Heat hate was at a high, even as they were the presumptive title favorites from July 8, 2010 onward. Their astounding showcases of hyper-modern basketball were met with groans, boos and jeers. They had to be stopped. Obviously, 2011 was Dirk’s peak, as unique a championship this century as there has been and an even more ridiculous shouldering of the burden than LeBron James pulled off five years later. Fitting, then, that it was against James’ first Heat team that Nowitzki led the Dallas Mavericks to their first championship in franchise history. Here is a list of names that helped Dirk Nowitzki do the stopping: Tyson Chandler; Shawn Marion; J.J. Barea; DeShawn Stevenson; Brendan Haywood; Brian Cardinal; Peja Stojakovic; the aforementioned Kidd, having returned to Dallas as a wily vet with a reliable jumper; and the aforementioned Terry. These people are NBA champions due to Dirk. Were it just for that title, and the accompanying validation for the career that preceded it, Dirk would have been an all-time legend. He put in the time as a perennial All-Star, first under a Perot and then under Mark Cuban, and won a championship in astonishing fashion. That would have been enough. What makes him important beyond his self-evident greatness, though, is his influence. He’s now shown two or so generations of basketball players, with many more to come, that an international big man can think like a guard, move like a forward and protect the rim like a center while playing in any of those roles. His one-legged fadeaway shot, what his team calls “the flamingo,” is worthy of replacing Jerry West as the NBA logo. It is his signature, and it is fitting: that shot encapsulates everything that made Dirk unique and, I’m sure, will continue to do so into retirement. For now, though, along with the memories, we have the vision of Dirk Nowitzki in every player who tries like hell to find themselves outside of what they are told to do. For better and for worse, there is no Kevin Durant, at least as we know him, without Nowitzki. Dirk will never be ours, but he will always be one of us.